We have been created to live and work in community. But all too often we see ourselves primarily as individuals and run the risk of working at cross-purposes with the organizations we serve. Living faithfully in a neighborhood involves two interwoven threads: learning and action. 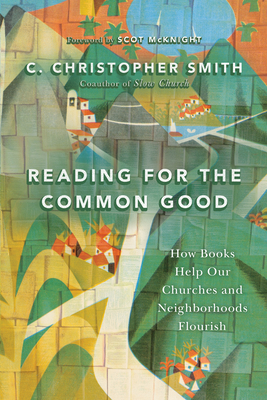 In this book C. Christopher Smith, coauthor ofSlow Church, looks at the local church as an organization in which both learning and action lie at the heart of its identity. He explores the practice of reading and, in his words, "how we can read together in ways that drive us deeper into action." Smith continues, "Church can no longer simply be an experience to be passively consumed; rather, we are called into the participatory life of a community. Reading is a vital practice for helping our churches navigate this shift." Discover how books can help your churches and neighborhoods bring flourishing to the world.